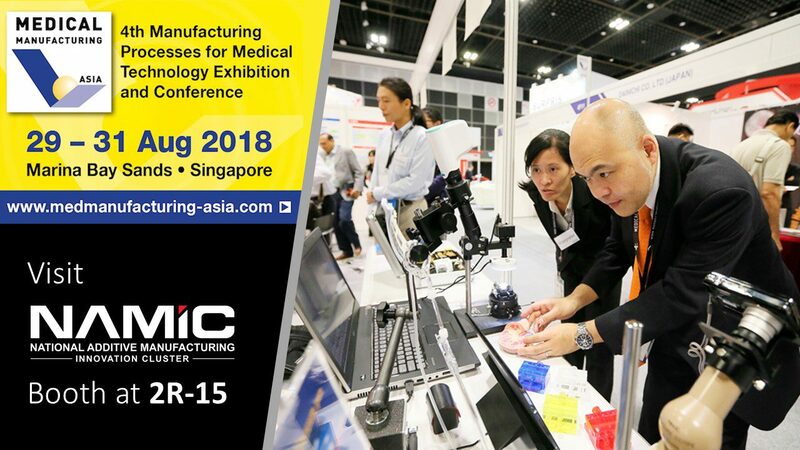 We invite you to our booth at 2R-15 in the exhibition hall at MEDICAL MANUFACTURING ASIA 2018 (MMA2018). MMA2018 is happening from 29 to 31 August 2018 at Marina Bay Sands Expo and Convention Centre. MEDICAL MANUFACTURING ASIA is the region’s leading MedTech exhibition. Back for its 4th edition, the exhibition will feature the latest in MedTech innovations, including 3D printing, micro and nanotechnology and more. Global and regional exhibitors from 24 countries will showcase their latest products to 6,000 expected visitors. This is also the exhibition to share best practices through the concurrent forum, seminar and technical presentations. Don’t miss out on this opportunity to be where the MedTech industry is gathered.